iPad 3 coming soon, iPad 2 models facing supply constraints | Johns iPhone | iPhone Blog with Help, News, Tutorials, Tricks, Tips, and More! Usually a solid indication on when an Apple product refresh is when the previous model of that specific product begins to get supplu shortages. We saw this prior to the launch of the iPad 2 in March, and we typically see this when Apple is about to launch some new Macs. 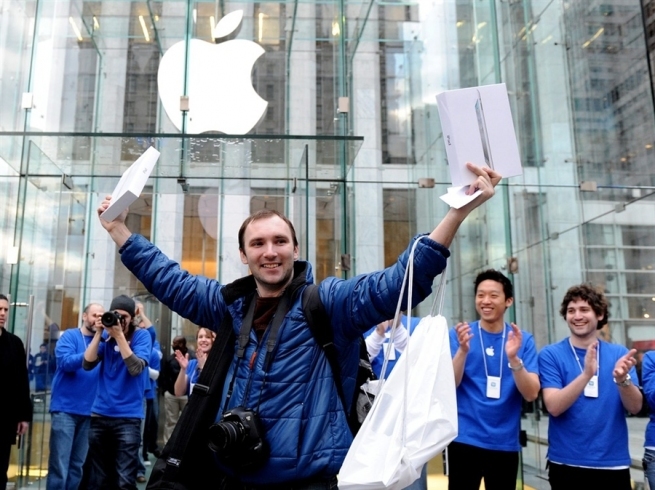 Some examples have been the release of the MacBook Air, Pro and iMac prior to their 2011 refreshes. That same deal is happening right now with the ipad 2, which will be succeeded by the iPad 3 in about a month. According to a source familiar with Apple’s product distribution channels, the iPad 2 WiFi + 3G is constrained. Supply shortages span beyond Apple’s own distribution channels, though, as major retailers are reporting “out of stock” status for the 3G iPad 2. This includes, but is likely not limited to, Carphone Warehouse and Orange in the United Kingdom. Carphone Warehouse is reporting shortges of five out of six of their 3G iPad 2 models (everything but the black 64GB unit), and Orange UK is reporting shortages of half of the 3G iPad 2 SKUs: both 32GB models and the white 64GB unit. While none of the iPad 2 WiFi-only models are not constrained, a shortage of the 3G models is quite notable. The next-generation iPad is rumored to include some high end features such as aRetina Display, improved cameras, and a much speedier processor. With only the 3G models being constrained, the unconstrained status of the WiFi-only iPad 2s can be an indicator of Apple keeping the WiFi iPad 2 and tacking the iPad 3 on top as a more premium model. The key here is that none of the WiFi-only models are seeing shortages, as only the 16GB unit has been rumored to stay when the iPad 3 launches. The iPad 2 is also rumored to be getting a price drop as the entry level iPad. In addition, Apple is also rumored to be adding LTE to its new iPad as well as its next generation iPhone in the coming months. 4G has been spreading recently and is now covering the majority of the country. Apple held back on LTE last year, but will most likely implement 4G into its next devices in order to give iOS devices the fastest speeds possible. Will you pick up an iPad 3?